The Sivells Brothers, Simon and Bill, are the namesakes of this town. Around 1850 they built a store, but abandoned it due to Indian misbehavior. The community was reestablished nine years later. 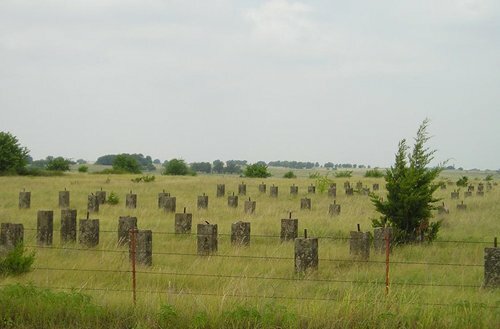 The next formative occurrence was when a branch of the Chisholm Trail came through in the late 1860s. The town billeted a company of Confederate soldiers during the Civil War and a post office was granted in 1872 - and was cancelled 101 years later. In 1882 the population reached 100 - the same as the 1990 census. The low level mark was in the 1940s when only 40 people lived in the area. 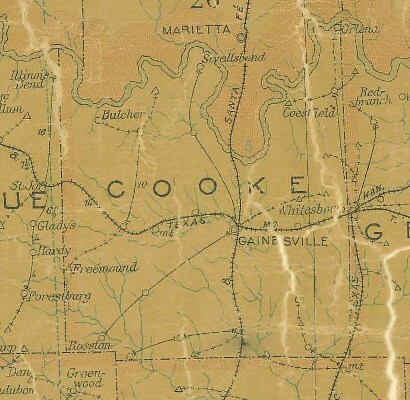 Cooke County 1907 Postal Map showing "Sivellsbend"